From my old dA account...modified and enhanced. This is a crossover FANART; no sales/commissioning allowed!! 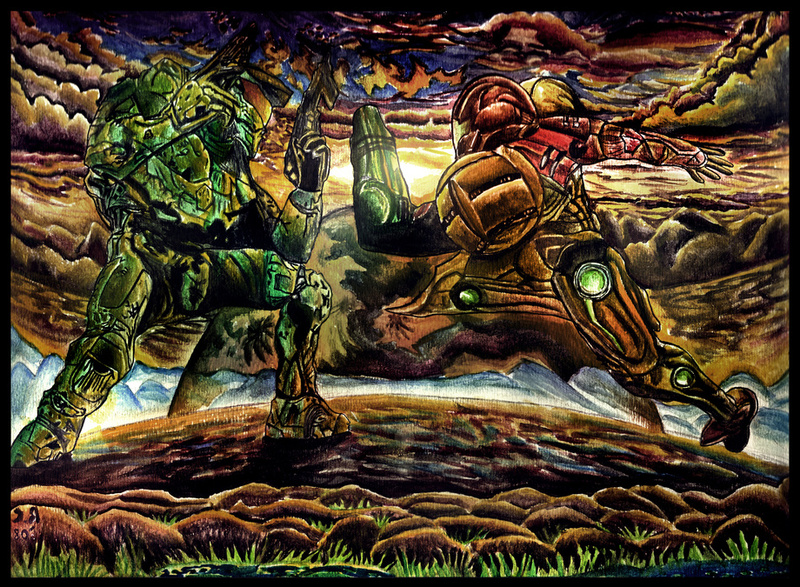 John 117 goes to Bungie/343 Studios, and Samus Aran belongs to Nintendo + Retro Studios.